Mr. Michael Joseph Casey, III, 51, of Horn Lake, MS passed away Friday, May 11, 2018 at his residence in Horn Lake. 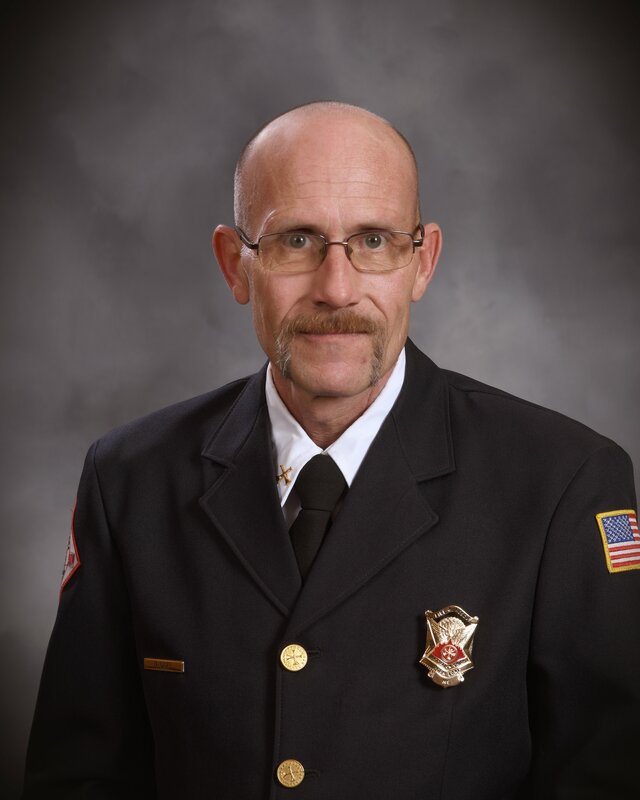 He served as a firefighter for the Horn Lake Fire Department for twenty-seven years. His world revolved around three specific things, his wife, children, and the fire department. Mr. Casey began educational programs through the local schools for fire safety. During these presentations, he would dress up as a clown known as “Patches the Clown” and perform skits for the students helping educate the importance of fire safety. For ten years, he helped host education summer camps for children that were held at the Horn Lake Fire Department. Mr. Casey served his community and the City of Horn Lake faithfully. You could be sure to find him helping with the yearly Christmas parades, Fourth of July celebrations, and Halloween festivities. He also participated in the yearly toy drive, where the fire department and other volunteers would donate and purchase toys for children who would not have had a Christmas without the help from the toy drive. During Christmas, Mr. Casey absolutely loved decorating his home with lights and Christmas décor. He would work endlessly to ensure his home was decorated from top to bottom and that it would bring joy to everyone who traveled from all around to see his display. Mr. Casey mowed lawns as a side job and as extremely meticulous about his landscaping. He took great pride in the work he did. Mr. Casey never knew a stranger, everyone knew him and no matter where he went someone was going to stop and talk with him. He was a very selfless man, always doing what he could for others and putting their needs above his own. He enjoyed gardening, landscaping, and listening to his favorite ‘70s and ‘80s music. Mr. Casey loved animals and had the goofiest personality, no one was quite like him. He loved his coffee, making sure he had two cups each morning before he could start his day. He also loved to cook and grill out, his favorite meal to make was meatloaf and mashed potatoes. Mr. Casey adored and honored his wife fully. Anything she wanted, needed, or that he thought she wanted he would purchase for her. During the holidays if Mr. Casey was out of town, he always made sure his wife received flowers. He had a special bond with each of his three children. He and his son shared a love for tools and beginning projects together. He taught his daughters how a husband should treat a wife, in the way he treated their mother. Mr. Casey’s legacy will continue to live on through the memories he shared with family, friends, and the City of Horn Lake. Mr. Casey leaves behind his loving wife of twenty-seven years, Cyndi Casey of Horn Lake; one son, James Cole Casey (Peggy) of Horn Lake; two daughters, Rey Ellen Casey and Sommer Renee Casey both of Horn Lake; two brothers, Brett Casey (Carol) of Medford, OR, and Patrick Casey (Jean); one sister, Renee McCarty (Michael) of Medford. Mr. Casey was anxiously awaiting the arrival of his first grandson, Wyatt Joseph Trotter. He was preceded in death by his parents, Michael Joseph Casey, Jr. and Nancy Hunt Casey; and sister, Mary Casey Mills. In lieu of flowers, the family asks that donations and memorials in honor of Mr. Michael Joseph Casey III, be made to the Friends of Horn Lake (3101 Goodman Rd W, Horn Lake, MS 38637). A celebration of life will be held Thursday, May 24, 2018, at 6:30 P.M. at First Baptist Church Horn Lake (3505 Goodman Rd, Horn Lake, MS 38637). We lost a very dear friend in Mike Casey. He will be missed very much. So sorry. Praying for family and friends.